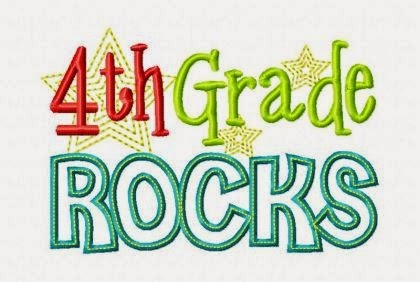 After five years of begging, pleading, and throwing fits in the halls (okay, maybe not), I am finally going back to fourth grade! Woop! Woop! I'm super excited and even motivated enough to give this little blog the attention it's been lacking for way too long. More good news? I'm moving on up from a teensy apartment to our own house! For the past seven years, my family and I have rented. Partly due to losing a house, right before there was mortgage assistance available, to a foreclosure, and partly due to some really poor money management and marital stress, we've been unable to buy a home. I'm happy to say, we close in three days, and we can't wait! I'll tell you, I have learned so much through these crazy years, that I honestly wouldn't trade them for all the stability and the most beautiful house in the world. I've learned that humility is godly. I confess that I was way too proud. Of stupid things. Like antiques, and crystal, and five sets of china, and really, just stuff! I've learned to pray. Not just the regular, everyday routine prayer, but to really talk to God. To ask for His guidance. To confess my sins. To beg for Him to show me His will. And to promise, no matter what, that I will do what His plan holds for me. I've learned to understand my husband. To listen. To love unconditionally. To forgive. To try to be the kind of wife he wants and deserves. To be a godly wife and mother. I've learned to be patient. More than anything else, I think that's the lesson I needed the most. And I think that both school and home have taught me to wait gratefully and gracefully. I've learned that what I've been waiting for, begging for, hoping for, and wishing for is so very unimportant in the greater scheme of things! I've learned to be truly thankful. We all have so much, and yet we see others' successes, accomplishments, jobs, homes, lives - whatever it may be, and that tiny little bit of jealousy creeps in. Don't let it happen to you. With eight days left in second grade, I think I might even miss it a little. I know I'll miss the friends I've made, especially this year, and the special little classes I've taught. But, guess what...my second graders from last year will be movin' on up to fourth grade next year, and hopefully, I'll get the chance to teach them what I really love and to show them how to love, love, love to learn!